For new parents and families expecting a new addition to the family any week now, setting up a baby themed web site can be a great to share the event with friends and family. A Baby Blog should be something that stands out. Often it will have bright colors that one might see in a kindergarten or fun elements that show in a split second that this is a baby-related site. 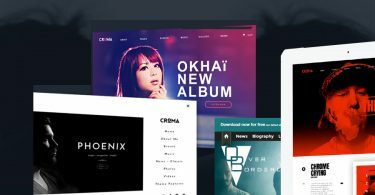 It doesn’t want to look like just a run of the mill blog and so we have put together a collection of the best baby WordPress themes that we could find. 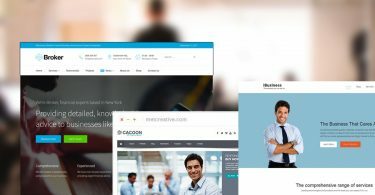 Babysitter is the clean and responsive baby blog wordpress theme that helps in creating the website that looks both professional and stunning. 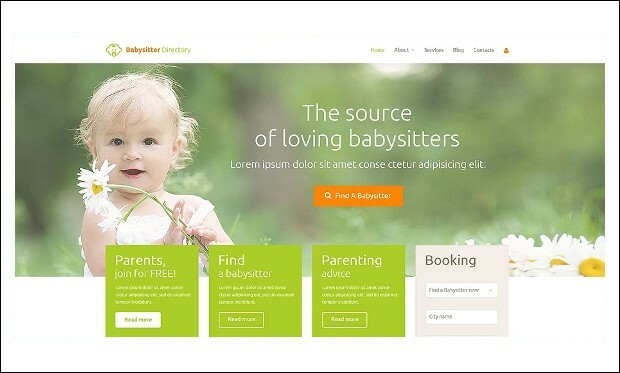 It’s a simple and clean wordpress theme that has many advanced features that help in creating the best babysitter website. 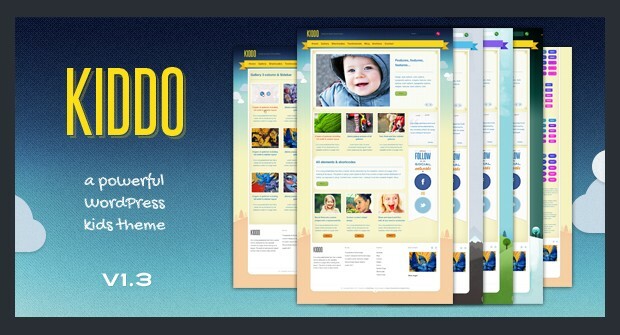 Kiddo Turf is the clean and responsive baby blog wordpress theme that helps in creating the website which is ideal for a kindergarten website or a blog that discusses baby activities. It has many advanced features that help in the easy creation of the powerful blog. 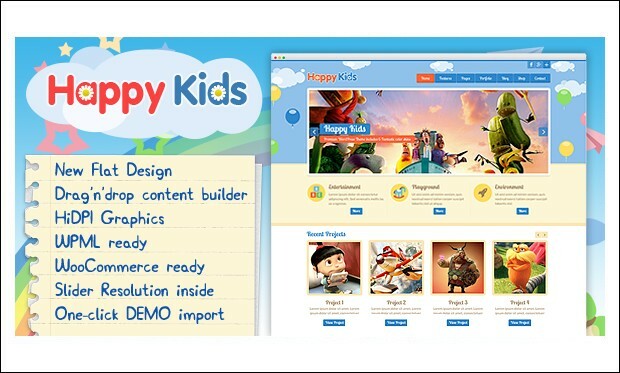 Happy Kids is the clean and minimal children wordpress theme for baby bloggers. It has many features that is specially designed for kindergartens, daycares, preschools and other children related businesses. 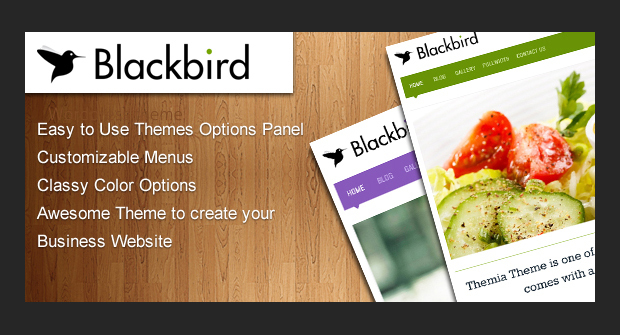 It has unlimited color and theme schemes that help in creating a stunning website. 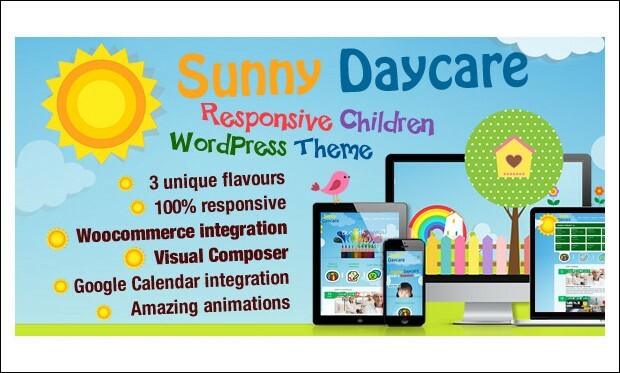 Kids Zone is the clean and responsive wordpress theme that is specially designed for the kindergarten, Day care, preschool and it would suit for any children, art, craft, school & Training Website or baby blogs. It supports many effective plugins and features which help in the easy creation of the website. 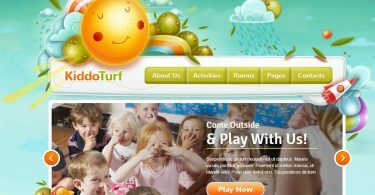 Daycare is the clean and responsive wordpress theme for those who want to create a blog that discusses about the different baby topics. 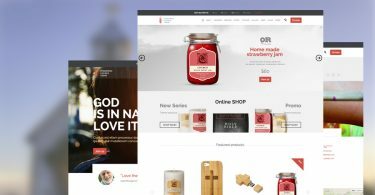 It is a simple wordpress theme that has the beautiful features that helps in creating the blog that is funny and attracts the readers towards it. Kiddo has a ribbon-themed design with sections that have backgrounds that look like prize certificates. This is intended to appeal to young kids who want to check out the site. Photos also have a pleasing background too. There are a number of different colored skins that can be changed whenever you like. The FancyBox plug-in is used for pop-ups and there is a shortcode editor included. 6 Gallery templates are included and social widgets are present for Facebook, Twitter and Flickr.The NivoSlider and the GalleriaSlider both offer excellent graphical options to deliver pleasing effects that will capture the interest of visitors young and old. 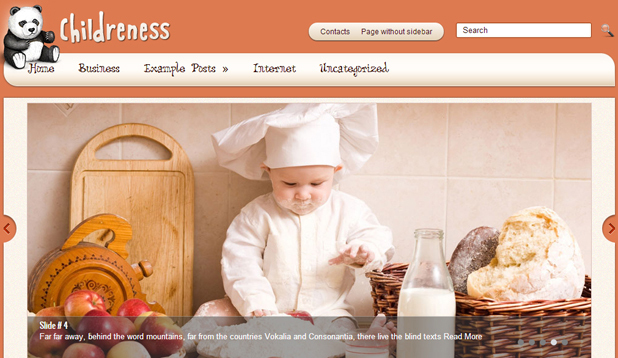 The Childreness theme is suitable for babies and also children as they grow up. It can be nice to use it for both because an archive can show how a child has grown up over the months and years.The theme is fully responsive, so busy parents can check the site on their smartphone or tablet, rather than only being able to view the site clearly on a laptop. 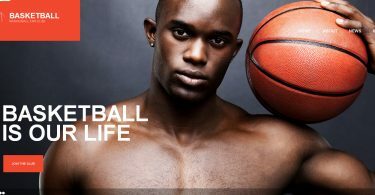 The layout is a classic blog style, but with a nice slider where several recent baby or child pictures can be added and changed as the child grows up.A dynamic content loader pulls in fresh content without needing to reload a page, which makes the site faster to view when using slower Internet connections too. This responsive WordPress theme includes 11 custom color schemes, attractive circular graphical elements that can include kid photos, drop down menus and a zoom boom pop-up.A full width image slider, with button slide indicators and navigation elements on either side is included. This can really make the page “pop”. 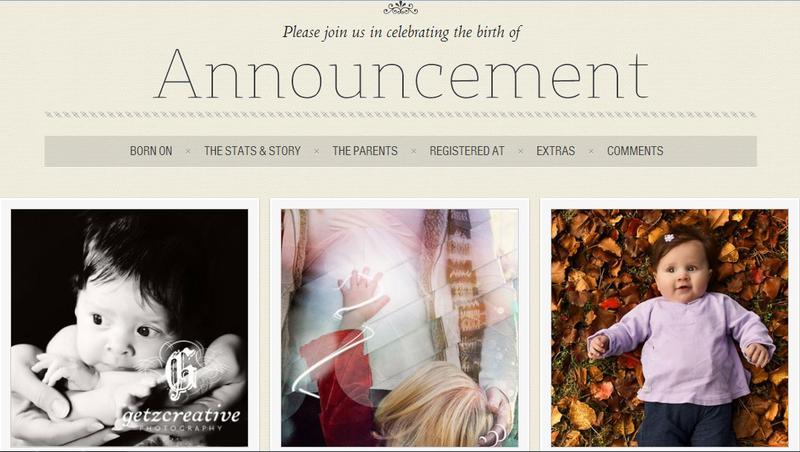 Announcement is a thoughtfully put together theme with all the right elements to announce a new addition. Large photos, gorgeous fonts, and baby specific widgets all down the home page.Add a birth date in large lettering, weight details, color of hair and eyes, both parents’ names and details about the birth & the baby and the mother.Widgets are present for a Twitter feed, Facebook, Flickr album photos and Recent posts. 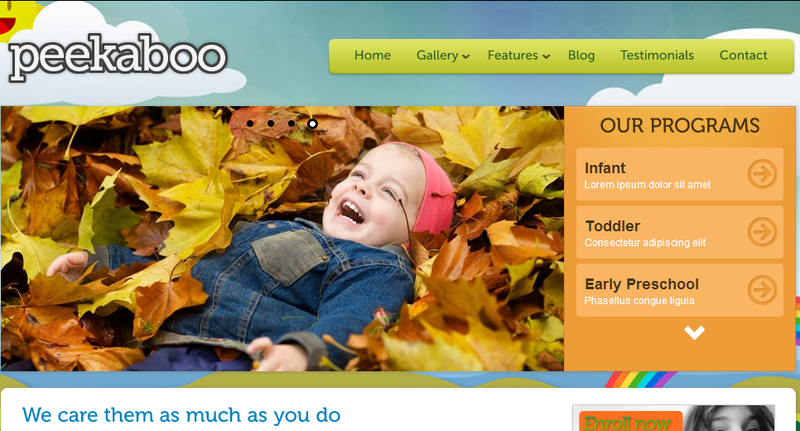 Peekaboo is a baby/children theme that is often used by baby-related businesses like childcare, daycare, preschool, etc. There is flexibility with the muted color scheme used which is colorful yet calming at the same time. The NivoSlider ensures interesting slides fly past and navigation is present to control what you see next. Attractive navigation buttons on the right side for different areas and main navigation at the top. Social media buttons are also included in the footer for Facebook, Twitter, and Flickr. 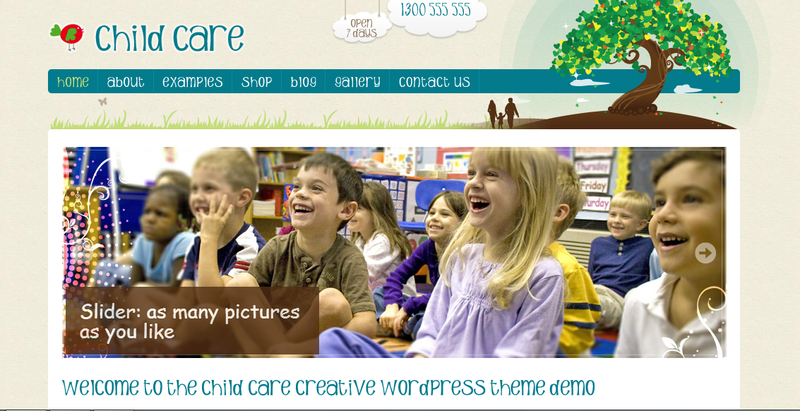 The Child Care Creative WordPress theme is intended for child carers, but equally can be used for babies, children and families, or craft or creative businesses. Design elements include sections that appear to have been sellotaped to the page and fun fonts with lettering that looks like it was drawn by a child. The layout can be changed to suit, with movable widgets and a number of different header options. A slideshow option is also available which can be configured quite easily.There is also an online shop component using the JigoShop eCommerce feature should you need that. 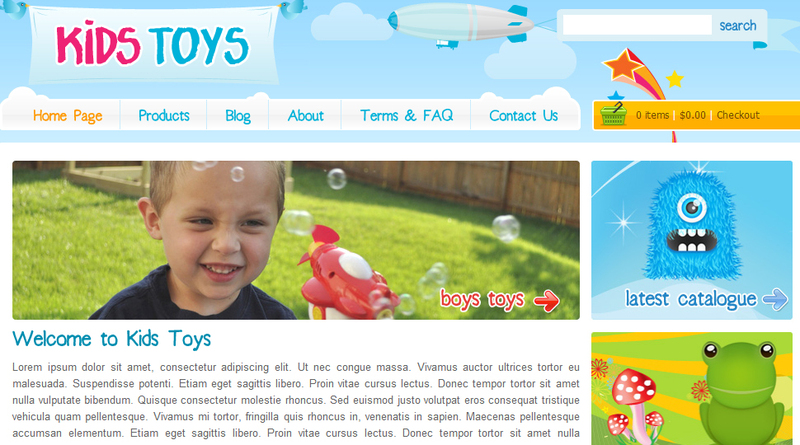 The Kids Toys WordPress theme is best used for a baby and kid themed stored which sells toys, games and clothing. The colors are bright and interesting, with kid appropriate font faces used, cool graphics and other page elements that all go together nicely. There is room for latest products, a recent blog list with excerpts, and some widgets displayed in the sidebar. This includes a special opt-in newsletter widget.The Shopping Cart is easy to use and products can be added to the catalogue from inside the Dashboard. 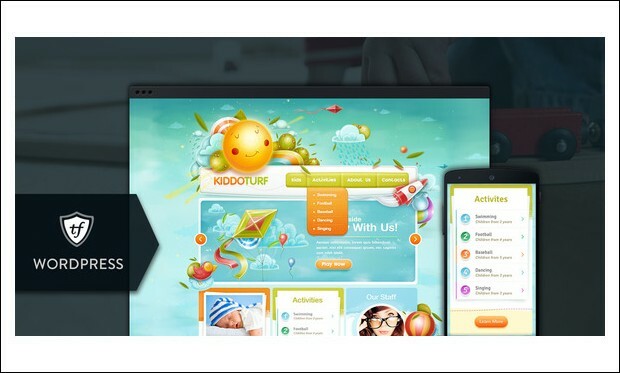 The Kidz Store is an end to end solution to develop out a Baby or Children’s eCommerce store. 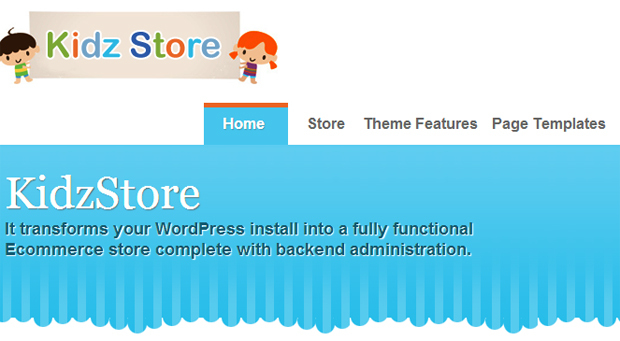 The store is WooCommerce compatible too.Well designed graphics fit nicely with the child theme of the site. There are sections for special offers just below the header, to attract the attention of would-be buyers and simple navigation to find what you would quickly. There are back-end options incorporated into the Dashboard to deal with shopping coupons, shipping and payment information.Rather than putting up a plain eCommerce store that looks like a Plain Jane eStore for everyone, why not instead pick the right Kids theme for your site. Magnifique, the French word for magnificent, is exactly that. But in an uncharacteristically (for the French) understated way. Minimalistic in approach, vibrant baby pictures and HD video will really leap off the page when using this theme. 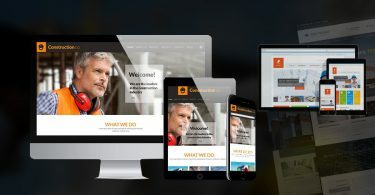 Unlimited color schemes ensure just the right clean look that you want and responsive design means the a site using the Magnifique theme will look good on any screen size. A huge background with your favorite baby photo collage makes for a great backdrop.Post excerpts are shown one by one, with bright colors and an attractive background which fits into the baby-themed look of the NewBorn theme.